Are you afraid that you are not going to reach the airport on time and miss your flight? Do not worry because A-Taxi Antwerp is here to make sure that you reach the airport on time. No one wants to get stuck in traffic when he or she has got a flight to catch so if you want to avoid missing your flight all you have got to do is trust A-Taxi service and book a luxurious and safe ride and your taxi will pick you up on time. A-Taxi Antwerp will transport you to all the domestic and foreign airports. Now you will never be late to any business meeting or stress about missing your checking-in deadline because A-Taxi transports both private and business customers. A-Taxi airport transport service can pick you from Ekeren to Antwerp, Zaventem, Charleroi, Eindhoven, Rotterdam, or Schiphol or from the airport to anywhere in Antwerp. If you are leaving for a holiday, well with A-Taxi airport transport, your holiday will start as soon as you jump in the taxi. The drivers at A-Taxi are experienced and have all the knowledge about the areas. Your comfort and safety is the number one priority at A-Taxi so enjoy a stress-free ride while the drivers drop you at your destination right on time. 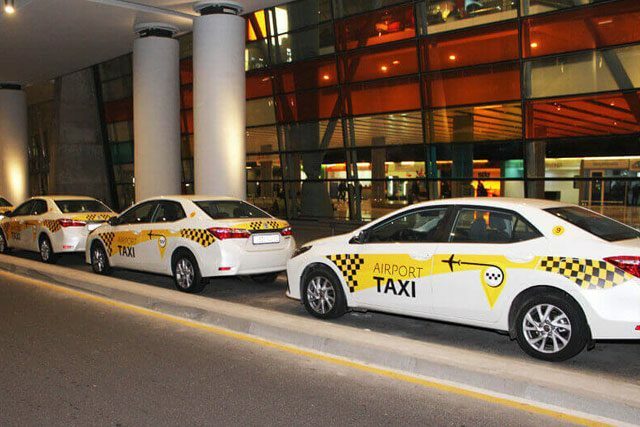 Why Should you Choose A-Taxi Airport Transport? With A-Taxi, you will not only reach the airport on time, but you will also get to know an estimate of your ride before you book the service. Just enter the pickup location and the drop-off and get fare estimate of your ride. They offer 3 type of rates depending on the number of kilometers and the prices include 6% VAT and a waiting time of 15 minutes. There are no hidden charges and you will get the best service at an affordable price. At A-Taxi, you get the latest cars to pick you up. They use Mercedes Benz passenger cars, Station Wagons, and an eight-person van that have extra room for your luggage. They have been providing the best service for more than 10 years and are known for their punctuality, reliability, and service. A-Taxi service will take you to any airport in the Antwerp region in a safe and timely manner. So why not start enjoying your vacation as soon as you close the front door of your house? If you want to experience a stress-free ride then call 03/283 83 93 or order online by visiting the https://taxibedrijfantwerpen.be/ and experience the number one taxi service in Antwerp. You can also send your suggestions and queries at info@taxibedrijfantwerpen.beand get a response within 2 hours. Previous articleHow To Make Money From Your Drone?